Previous PostPrevious Aiguafreda - Ajuntament. Policía Nacional charge with force at SMO Sant Narcís. The fire department protect the voters. 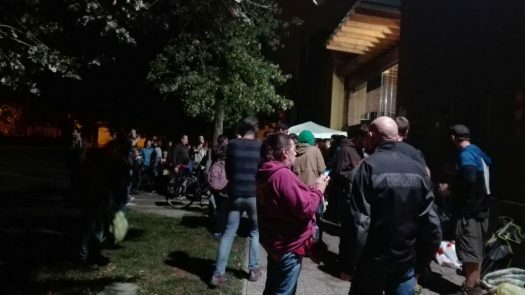 In the early morning there is a great crowd of people gathered peacefully. 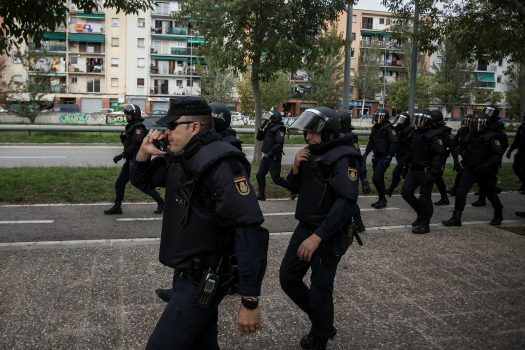 The Policía Nacional arrive (Photo by Carles Palacio). Instructions on how to react nonviolently to a police charge. 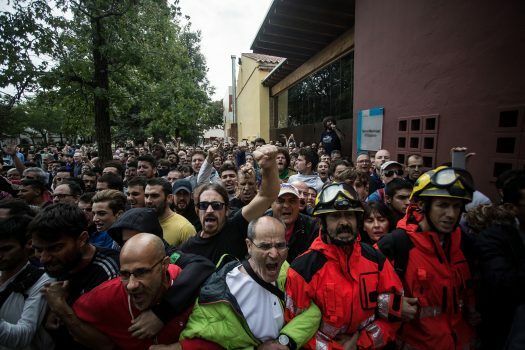 Fire Department protect the people (Photo by Carles Palacio). 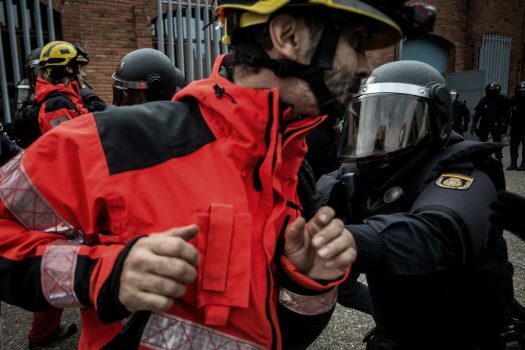 A fireman face to face with a police officer (Photo by Carles Palacio). 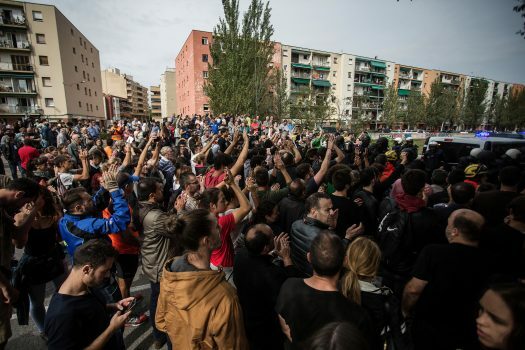 Voters resisting peacefully (Photo by Carles Palacio). Attending to one of the wounded (Photo by Carles Palacio). 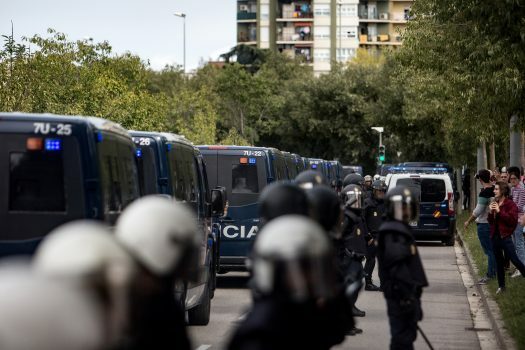 Policía Nacional vans (Photo by Carles Palacio). 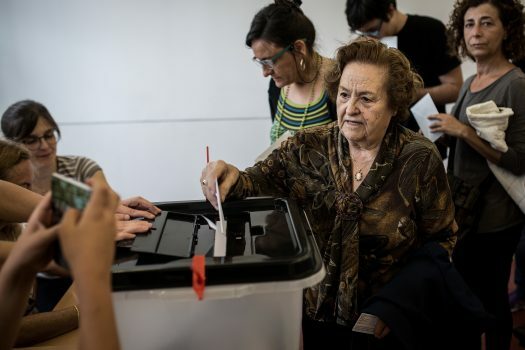 Protecting the polling station (Photo by Carles Palacio). 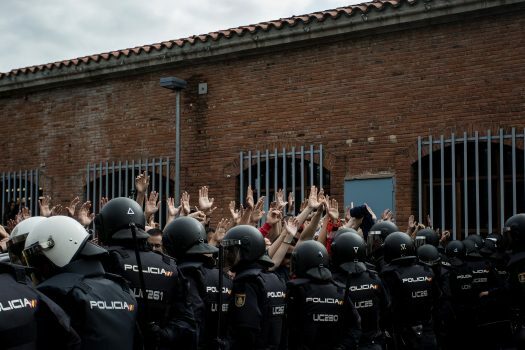 The police charge inside the centre. 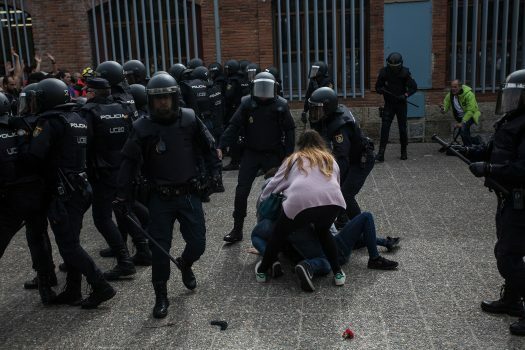 After the police charge a 'parliament' is held to explain to the people that there have been two injured people taken away by ambulance. They are also told what to do if they want to file a complaint. 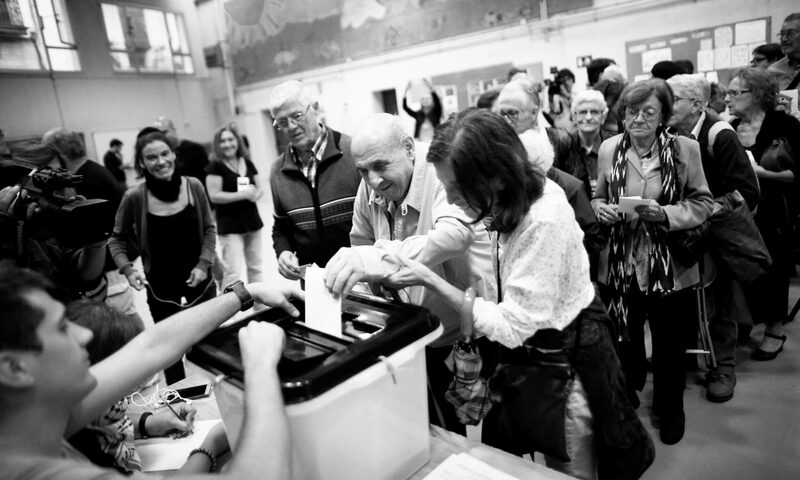 Exercising the right to vote (Photo by Carles Palacio).